Ocean Bay (now re-branded as The Bull & Boat) enjoys a fantastic location next to the beach in Swanage Bay. 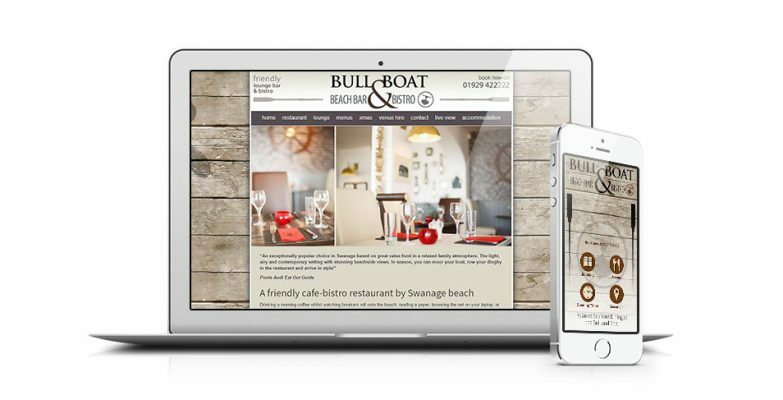 The beach side location and ambience were an important aspect of the owner’s marketing strategy, so he asked us to build a site which reflected the location and atmosphere of Ocean Bay. We created various interactive and animated elements for his new site, of which this was one (view more animations here). Creating a simple storyboard drawing on nautical themes, we created this website banner animation for the web site. Osis Design offered to build an exciting, vibrant and informative website for my restaurant, and I have never looked back. I regularly get over 100 bookings a week coming from the website.